If you are looking for a professionally designed and decorated restaurant with a hometown feel this place is for you. 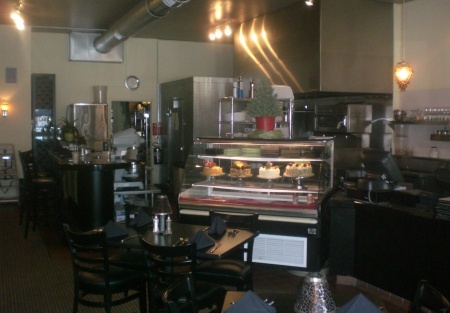 Located just minutes from downtown this centrally located restaurant has a great lease with monthly rent of only $2032. The rent factor for 2007 was 5.41% of sales. Cozy interior and open floor plan allow for easy oversight during operation. Restaurant is staffed and ready to continue operations. Currently only open six days a week for dinner along with Sunday brunch. Expanding hours would bring sales up even higher. Special sunset dinners give the restaurant a fun, fresh feel. The menu is distinctive and vibrant with large portions and reasonable prices. Restaurant enjoys a large loyal customer base who visit often. This restaurant is turn key with all top of the line equipment. Click on the orange button below to get more pictures and the address of your new restaurant. This is a Stone Path Brokerage Services, Inc. DBA Selling Restaurants San Diego listing. Only $2032 for montly rent includes cam!